Many members continue playing football after graduation. 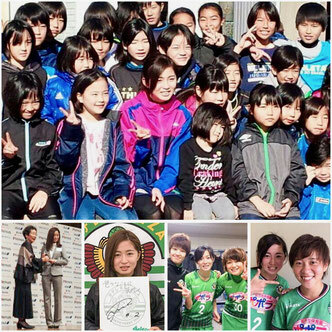 A footballer Risa Shimizu is playing as a member of "Nadeshiko Japan" a women national team. Akatsu was named to the ACAC All - Conference Team as well as Tournament MVP. “Yuri was excellent yet again for us this weekend, she’s very sneaky defensively and is a very sound offensive threat as well she deserved the recognition she got this weekend.” said head coach Carole Holt.